Is there some sort of trick to removing the pad retaining pin in the rear caliper? I've left the caliper mounted but removed the wheel, removed the safety clip from the retaining pin and have tried to drive the pin out but it seems to be taking more force than I feel comfortable applying. I've given it a sharp rap with a punch and a hammer but it refuses to move more than a millimeter. The pin isn't seized as I can rotate it. Is the solution a bigger hammer? Your knowledge and insight are both keenly sought. Thanks in advance! 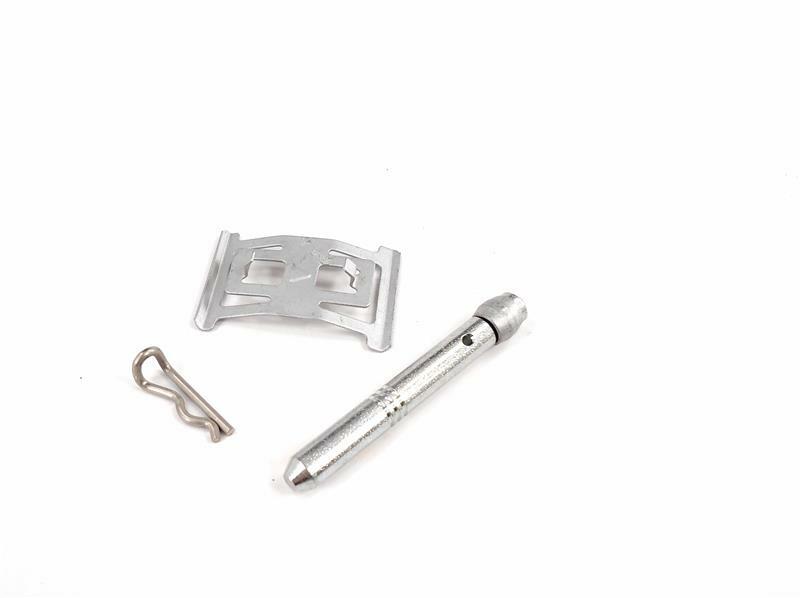 There is a spring collar around the end of the pin that presses outward to hold the pin in place even without the safety clip. It does take a lot of force to compress it and push it through, a little penetrating oil might help it slide. On my RT, removing the wheel greatly improves access to the pin for a solid tap on re-assembly. Last edited by lkraus; 09-14-2018 at 08:00 PM. There is a spring collar around the end of the pin that presses outward to hold the pin in place even without the safety clip. Thank you, sir. That's a Brembo "better idea". I'll give it a blast with a bigger hammer. Penetrating oil and a bigger hammer worked wonders. Thanks to all for your contributions! Yes, I'd done the front brakes in the spring and (silly me) I figured the rear would be similar. Couldn't figure out why none of the allen keys or torx bits I had would fit the pin. I replaced the pads and the disc with EBC organics and a Bikemaster disc. The pads were chosen so as to not score the new disc. The new disc has a larger swept area than the original and so is slightly heavier. However it runs true and, for the $100 it cost, I'm totally satisfied. Rear brake disc- bolt replacement?